Is Dark Souls the new zombie genre that everyone has to cash in on? Starting to look like the case as the game style has now been replicated by indie, AAA and everything in between companies. So here’s Immortal: Unchained, a game by a triple A indie company where you play a zombie with a gun. If you know the Souls formula, you have a pretty good idea what this game is generally like; challenging, you die and lose your bits, set of upgradeable weapons you need very familiar stats you level up with bits to use, etcetera. Yes, this game is made by an indie company, Toadman Interactive- check their non-existant wiki page for details. While they have worked on other games, most notably Vermintide, Immortal is their first own game. I will have to give them credit, for a first showing this looks and plays very much like a AAA title and suggests good things are to come, not unlike how Obsidian initially worked on the great but buggy KOTOR 2, NWN 2, New Vegas, taking the works of other companies, and now have their own very impressive Pillars of Eternity. Immortal is not on the Pillars of Eternity level, but given another few years to grow and learn from this game I could see Toadman making it there. Generally I would gloss over graphics and sound, but both in this game have a similar problem. 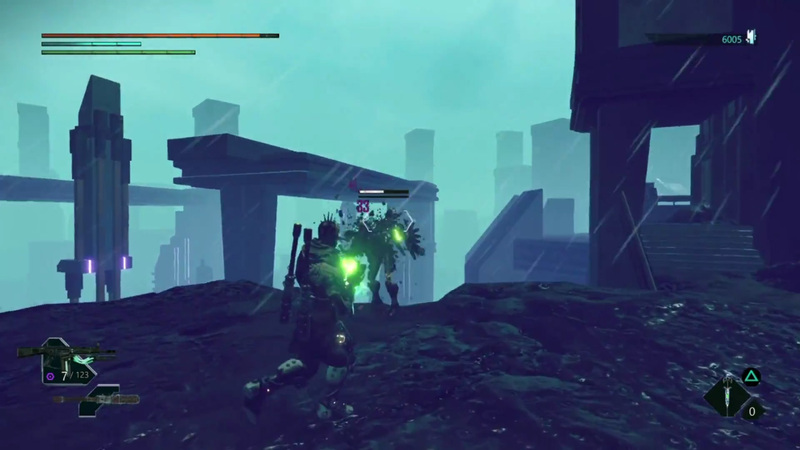 Individually the bleak settings and enemies, as well as the ambient sound and that of foes are ideal for this sort of game. But background noise is not different enough from warning indicators of an enemy nearby, and the background visuals blend into enemies as well. There are times when having enemies that mesh with scenery works, when it’s a theme of a level that spotting foes is meant to be difficult. When it becomes the entire game though it only serves to be frustrating and makes the visual experience incredibly boring. That visual experience also makes it both not enjoyable to explore and turns levels into annoying mazes. There are three ways to ensure players don’t get lost. The first is to put a map into the game, heck, Zelda on the NES has a map; this was great for early games where companies simply couldn’t make areas visually that different, and just think about how frustrating getting around in a game like Bard’s Tale or Phantasy Star without a map would be. 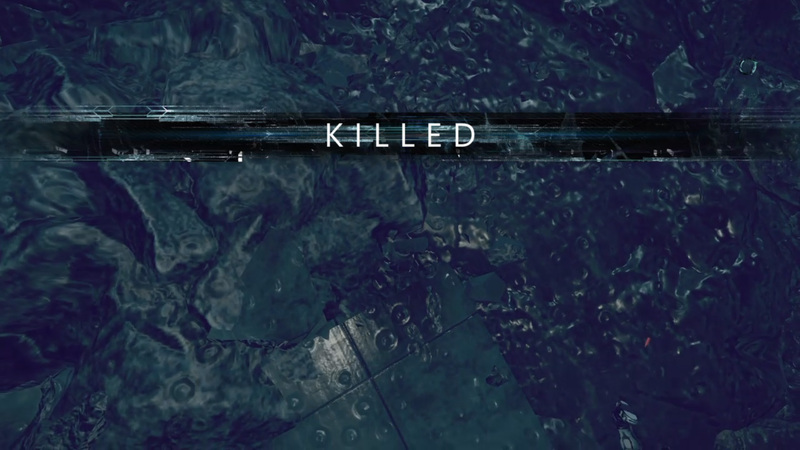 The second is to only provide visual clues and markers, and has become much more possible with advances in graphics; this is how the Souls series works, and a mixture of scenery, unique pathways and enemy placements all combine to make sure you can recognize a place. The third is to not have a map and make all enemies and backgrounds look the same; what this game does. While eventually you do start to face foes that aren’t camouflaged, you have five hours of play time before you reach that point. It isn’t just foes that can be visually confusing, but clutter on the ground can be harmless that you can walk through, or something that entirely blocks your path and it is not always clear which is which. devoid of excitement. Adding boredom to challenge is a sure way to get you frustrated with the game early on and wondering why you’re still playing it, even if you know that it does get better eventually. Enemies are just as bland as they look. Eventually you begin to face enemies that explode or teleport, and bosses with interesting attack patterns. However, for that first ten hours, you will face foes with guns and foes that walk up and slash at you, and nothing else; and that includes the first two bosses. Since foes are using guns, you are often dealing with having to spot enemies from a fair distance, as they can still do considerable damage even if you’re at a point where your own attacks are rather pitiful if they can hit at all. Enemies will also come at you from behind or above, and appear out of nowhere at times. This is generally fine, but a single round of shots is all it takes to bring you nearly to death, and even early on there are parts that are annoying because you cannot fight back effectively until you go all the way through the level; thankfully, short cuts do make that task quite rewarding. The lack of customization extends to the player. 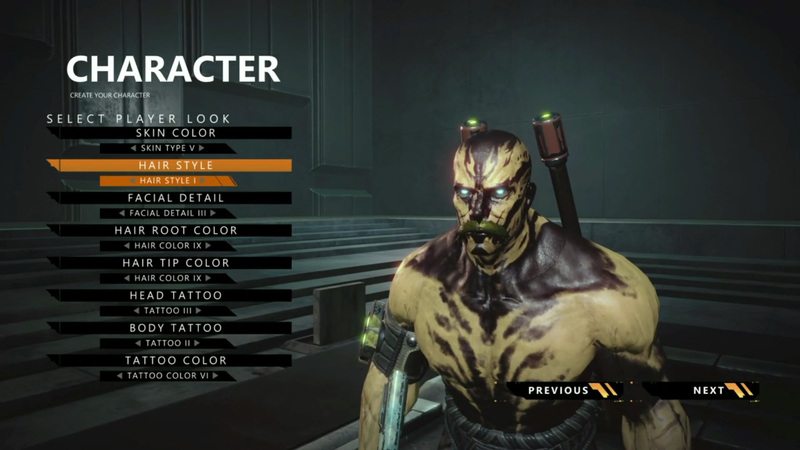 Creation tools are minimal, and you end up looking like you died in a Gears of War game and they brought you back once you’d decayed enough, you can barely even tell the difference between males and females. In a grim dark atmosphere, that’s not necessarily a bad thing. However, other ways to customize your play are lacking too. Picking up items is somewhat of a bore, you often get stacks of them which have no use in the near future from chests. While the item menu is a concise easy to use list, everything in it is incredibly generic. Weapons are a bit different, with appearances that pop out, a variety of play styles being immediately on display within the first few hours of play except… you cannot use most of the weapons you pick up in the first several hours. The rate at which you obtain bits and level is so slow that ten hours in I had a weapon still that I did not have the stats to use which I’d gotten in the first half hour, and that’s without having ever lost a significant amount of bits to a double death; there is also no reasonable way to farm bits early on. It just adds to the early game boredom. Having a nice selection of cool looking weapons you cannot use any time soon makes those weapons not really matter. The controls themselves are somewhat responsive, but only somewhat. You cannot cancel most animations outside reload, I fought a boss where I had to dodge so much that I was attempting to reload for an entire minute. 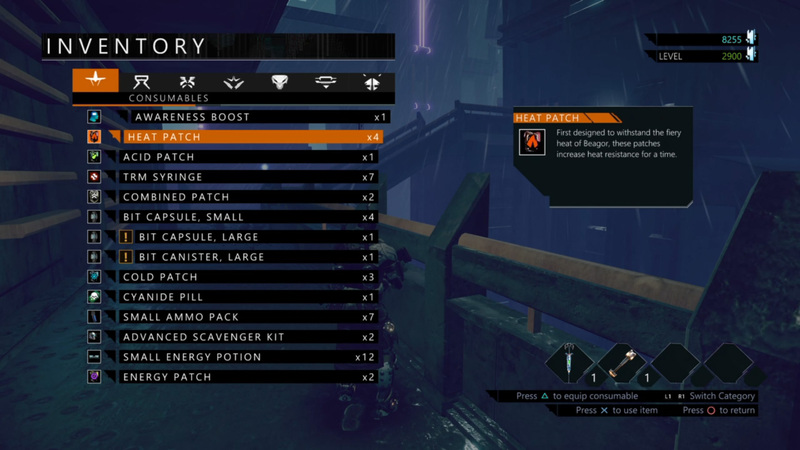 Having reload plus stamina could make for a slower, more strategic game. In this case, it only makes it so for long periods of time you may be forced to do nothing but try to live. If you start an attack, you won’t be able to dodge for a telegraph. If you get knocked down, you continue taking damage while knocked prone; so a mistake can easily take you from max health to nothing as you lie on the ground getting bashed with no way to recover. The lack of fluid controls and the inability to recover from mistakes both make many deaths feel less like the staple Souls ‘challenging, but fair’ and more straight frustrating. You not only look like you’re from Gears of War, you feel it too. The way you move and dodge is clumsy, which really shows when fighting on narrow pathways or against enemies with powerful ranged attacks. Attacking is inaccurate, melee even more so as you have to hug your enemy and the second swing generally flails at nothing as you’ve knocked them away. 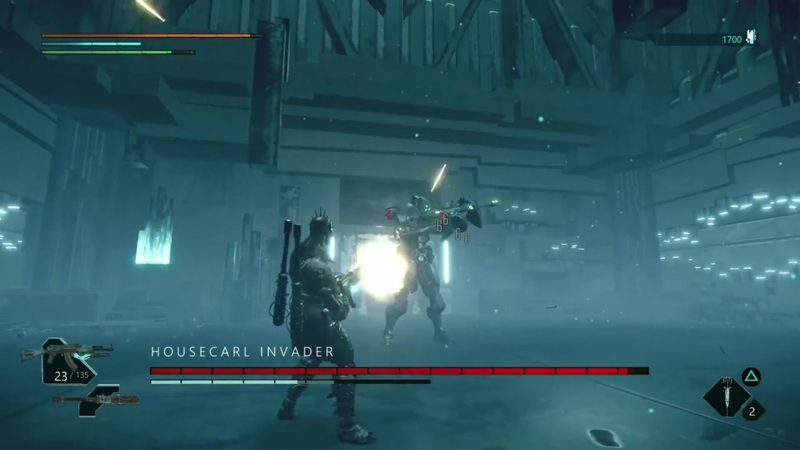 The game has trouble switching from tasks; for example, you cannot lock on while doing anything else such as running, and you need to completely finish an animation such as an attack or dodge before you can start to move. The transition between actions is so slow it can be felt for anyone with experience in the genre; as if it saw the direction Bloodborne went and decided to go the exact opposite way. It can still be rewarding to dodge and enemies are as clunky as you, meaning you can take advantage of weak spots that are covered with shields or simply on the enemy’s back, something that will feel familiar to most. If you can take advantage of it, as moving any direction other than straight has a delay to it. Now, I’ve criticized the game’s sound and visuals, but even with those problems this game still is fairly solid. The story is quite minimal, forcing you to piece it together but that isn’t bothersome either. If there is a chief problem with the game it is how fluid it doesn’t feel. Even so, to some the appearance of the game and the controls will feel good, and there’s no indication that these were not conscious choices by the developers. I do think the slow start and limitations will hurt for everyone, and overall I cannot say I recommend playing this game. However, I also won’t recommend skipping it, especially if it seems like the type that would appeal to you or you’re looking for a grim gun version of the From games. I would put this game below them, Nioh and Lords of the Fallen, but on the other hand this is a solid indie game that is challenging and will give you play time for your money. There’s no replay value, with multiplayer and NG+ both missing that comes as a fairly heavy strike. Luckily, Toadman has suggested both will come in a free update later, at least in some capacity.